Love Island's Eyal Booker was giving back to those in need recently, as he travelled to the Cagayan Province to build houses for those affected by typhoons. 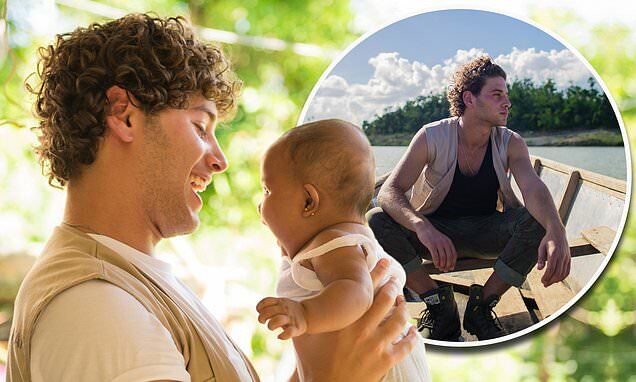 The 23-year-old hunk was seen playing with a two-month old baby as he travelled to the remote region in the Philippines, where he learned how to build the new homes. It came after Eyal managed to add some steamy drama to the recent Love Island Christmas reunion, after he shared a kiss in the pool with Kendall Rae Knight. Eyal was seen travelling to the Cagayan Province with the charity World Vision to assist with rebuilding homes, in an area when many of the villagers houses had been destroyed by typhoons. The reality TV star helped to deliver the materials needed, before unloading them and journeying by boat to the river to transport them to a distribution centre. Eyal then met the families of those whose homes had been destroyed in the typhoon - including the parents of a two month old baby who had the roof of their house ripped off when Mangkhut hit. After getting a little tour of the home, Eyal then assisted in ploughing a field, after 80% of the crops in the province were destroyed in the typhoon.